Dir. Derek Peck | Documentary | U.S.A. | 2016 | 30 min. Preceded by stories about Ram Dass, from local storytellers Nancy Aronie and Ronni and Peter Simon. A discussion with director Derek Peck will follow the screening. This beautiful portrait is a cross between a biopic and a guided meditation by one of the preeminent spiritual teachers of the last half century. We are granted rare access to the home of Ram Dass, the Harvard psychologist turned Buddhist and author of the seminal 1971 book Be Here Now. 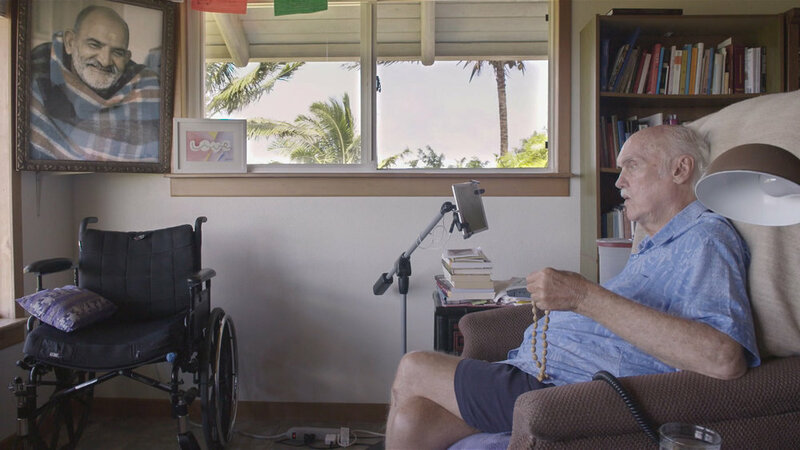 Though his speech is slowed and he is partially paralyzed by a stroke, it has a profound spiritual effect: it forces him to confront life and death, and he openly shares his profound thoughts on the subject.